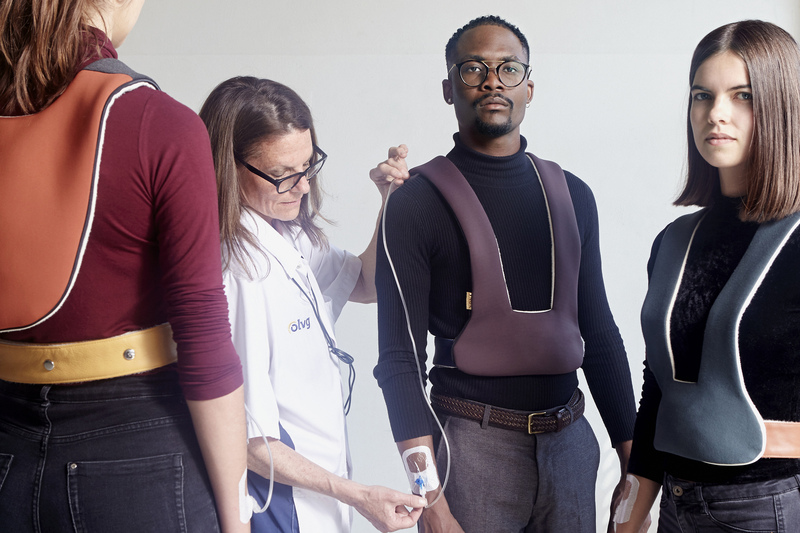 IV-Walk is a portable IV-Pole that stimulates the mobility in hospitals with the aim to accelerate recovery of the patient. Instead of the cold metal pole, the IV-Walk is soft and flexible. 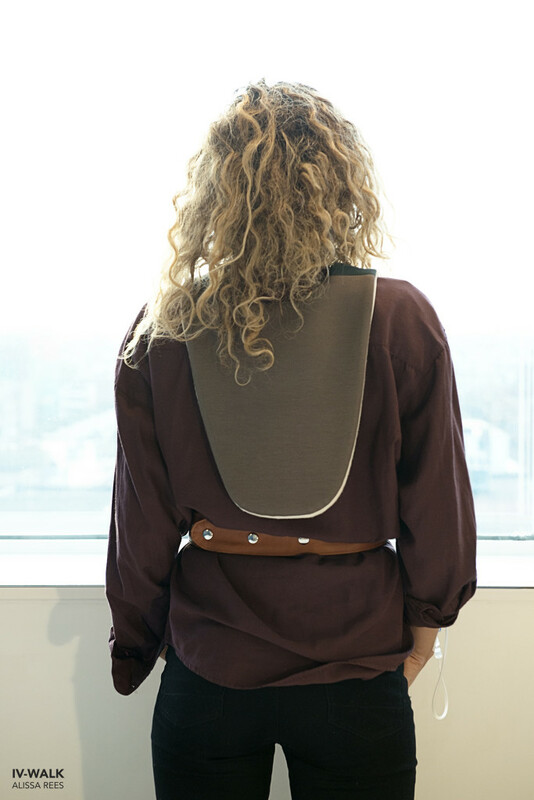 The product allows patients to walk around more freely, enabling them to get fresh air and exercise – something Rees said is instrumental in there recovery process. 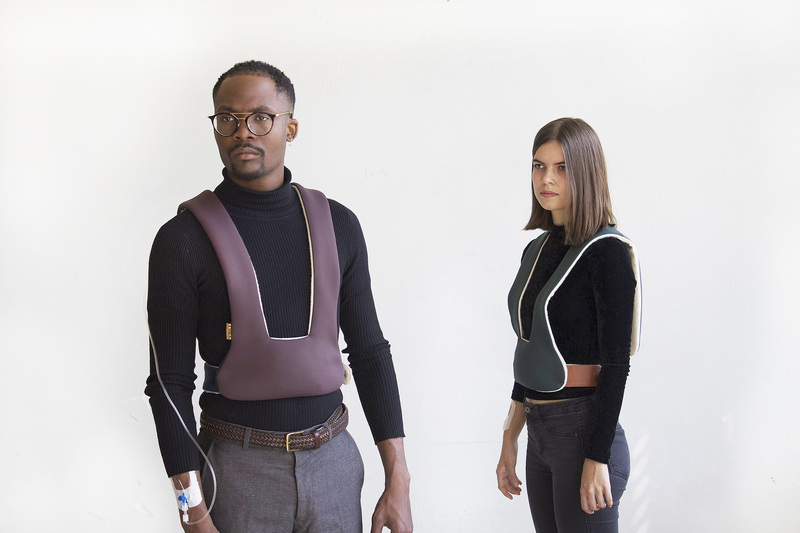 In order not to deny the treatment of the patient, the product finds the balance between hiding the medical equipment and using it as a personal clothing part to show the patient’s identity. When I turned nineteen I got leukaemia, a disease that kept me two years in hospital. I was attached to an IV-pole for weeks, without any moment of separation. 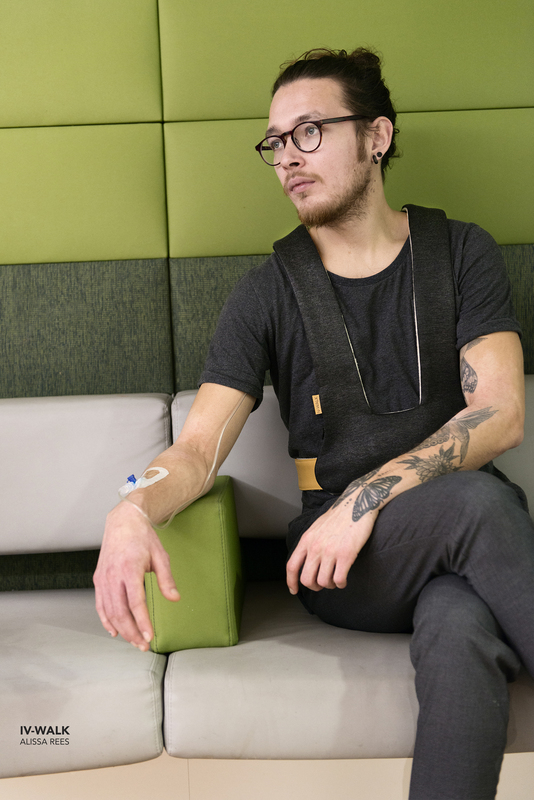 As a patient I realised how the current IV-Pole was not stimulating me to move around in the hospital. The current pole makes it hard to escape the hospital room, visit the bathroom or even enter elevators. 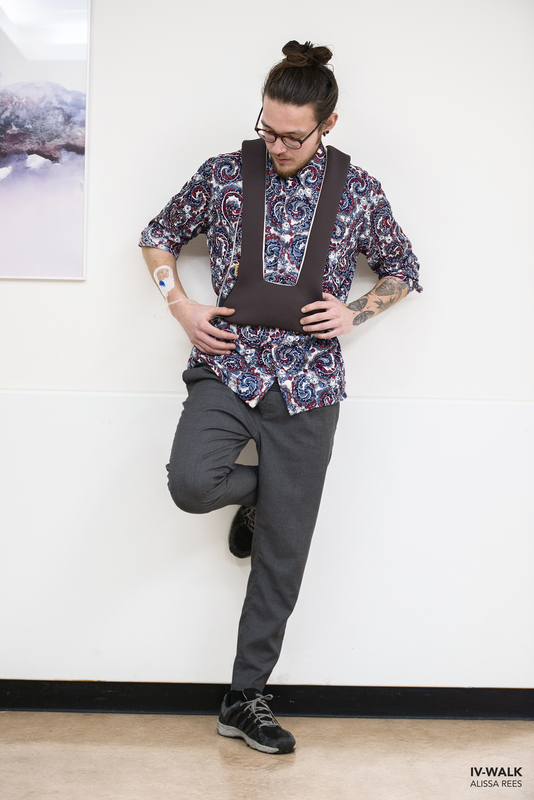 Stimulating mobility by using the IV-Walk speeds up recovery. Besides that, holding the pole is a cheerless way to present yourself to friends or family. Presenting yourself in a proper way can be important during a long stay in hospital. 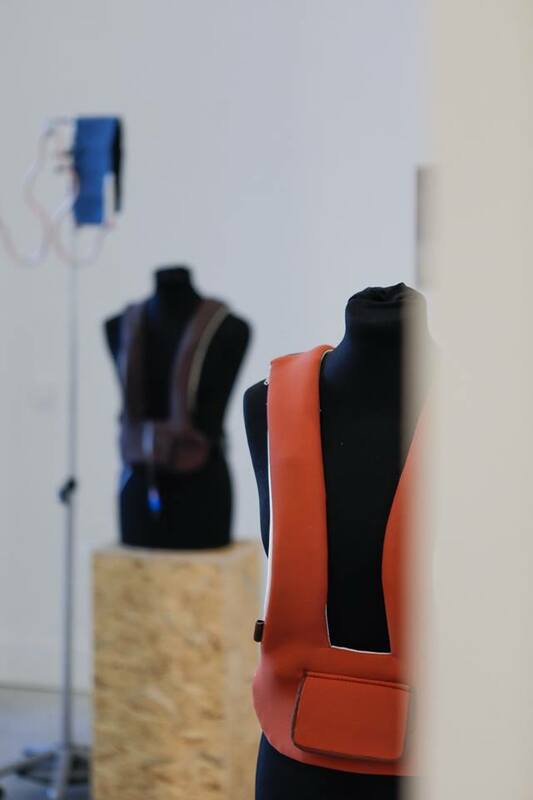 The complete outside of the IV-Walk can be unzipped to easily reach the inside of the IV-Walk. Inside the cover, the infusion bag, infusion tube and pump could be installed. This could be done by the patient with supervision of the nurse. The shape of the IV-Walk is made in this way that neither the pump or infusion bag are heavy for the patient. Also, the patient is able to sit comfortable while the IV-Walk can be flipped over the back of the chair. The patient could use the IV-Walk when the patient receives harmless medicine like sodium chloride or antibiotics. Often patients receive for a long period of the day sodium chloride to flush the body. 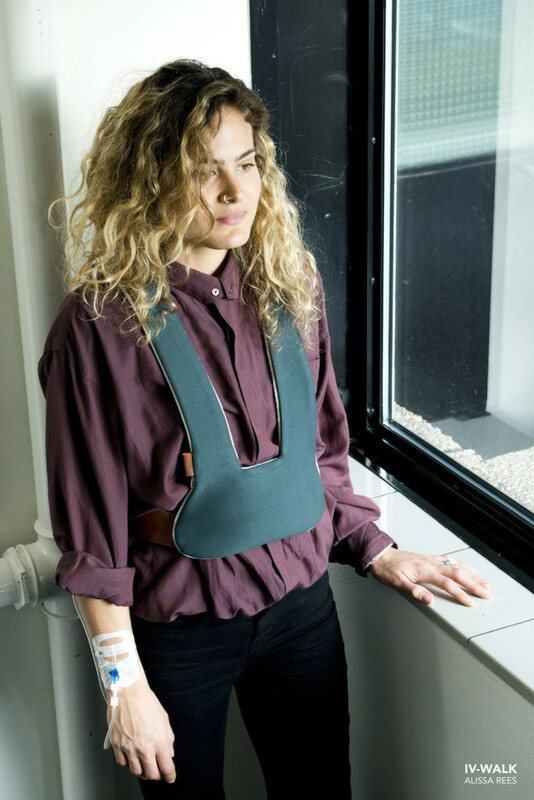 Should a patient take a walk around the hospital, nurses can track the drip through a connected system. If any deviant behaviour would appear, a sign will appear on the screen of the relevant department. The pump could be charged without the need of removing the pump out of the cover. Simply hang it on the coat rack and the pump will automatically charge. The project IV-Walk, won the Accenture innovation award 2017 and the innovation Award and the best overall prize on the BrainsAward 2017. IV-Walk will be internationally launched on the CES in Las Vegas 2018.